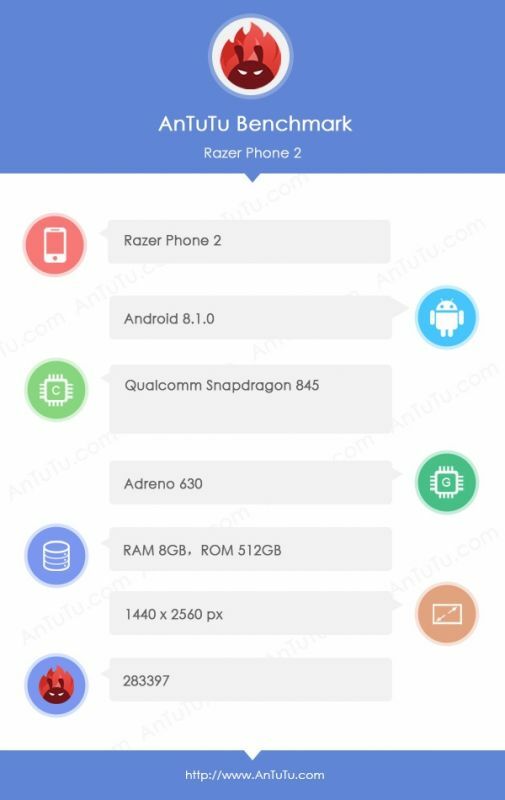 It appears on AnTuTu confirming Snapdragon 845 chipset, 8GB RAM and Android 8.1 Oreo OS. 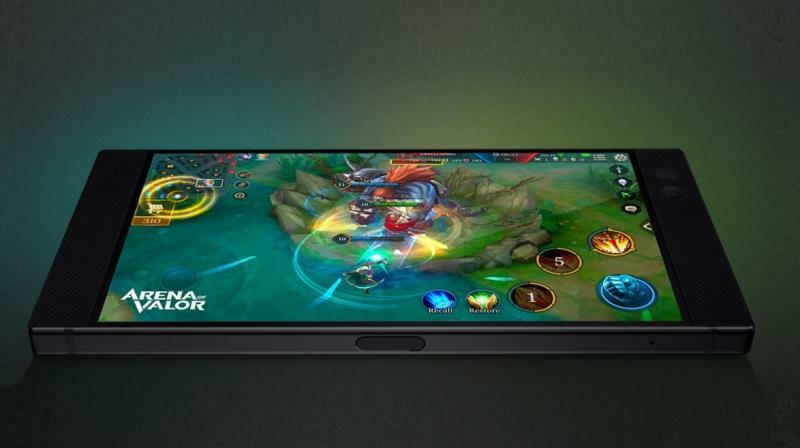 With the aspect ratio of 16:9, the Razer Phone 2 will probably boast of the 1440 x 2560 pixel QHD panel. Razer Phone literally proved that mobile gaming is not just a way of killing time but people do take it seriously. After almost a year of the first generation phone's launch, reports of the second generation Razer Phone have started to come across. The phone was earlier speculated to be launched by September this year but now it's been reportedly postponed to December. While we are supposedly two months away from its arrival, the phone has appeared on AnTuTu database following its presence on the Geekbench score sheet. The Chinese source managed to obtain the data sheet from AnTuTu platform which uncovered it's hefty internal storage capacity — 512GB. That makes it a rare device with such a humungous storage space. Yet another step up from the first gen device would be the induction of Snapdragon 845 chipset. On the current device, the SD 835 chipset does the duty. However, since the 855 is already in production, the use of 845 could be a setback for a device this costly (Razer Phone is priced at Rs 97,999).